Just when we thought Platform couldn't get more stylish, Hayden swooped into a corner of the high-end shopping and dining development in Culver City. 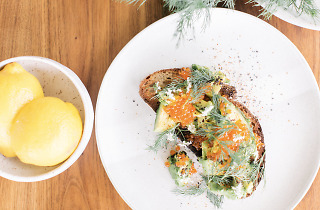 The bright and airy cafe and wine bar serves up a focus on natural wines and a California menu of light bites, specialty canned goods, fresh seafood and sandwiches from James Beard Award semifinalist Ari Kolender. The patio is cute and bulb-lit, the interior is all hanging plants and light wood, making it an ideal spoot day or night, in or out of the modern, airy wine bar and restaurant. One of the best oyster happy hours in the city - for $1.50 each, you're not relegated to the bottom of the barrel in quality, you get a selection of three fantastic choices. The small plates are perfect coupled with some glasses of wine, my favorites are the 'nduja tartine with ricotta, honey, and basil and the smoked trout dip. 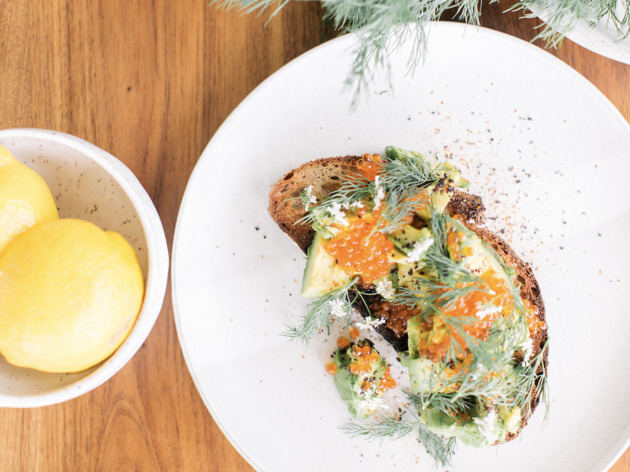 They recently went through a menu and format refresh, and I think the new focus on raw seafood and wine (including a small marketplace) was a great move.